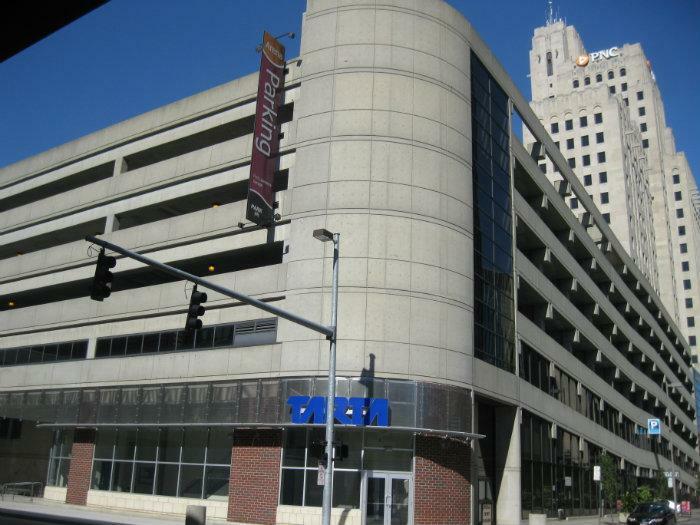 This garage is located next to the PNC Building at Jefferson and N. Saint Clair Streets. Attached by walkway to the Huntington Center, across the street and walkway accessible, is SeaGate Centre. Also nearby is the Mud Hens Ball Park, a number of major office buildings and Promenade Park. Entry is on N. Saint Clair Street, opposite the Tower on the Maumee.